As I was browsing who-knows-where online the other day, I came across a Spiced Pumpkin bath bomb or Pumpkin Pie bath bomb or some other "flavor" of bath bomb with Pumpkin in the title. It led me to wonder, what other creative things have people used Pumpkin Pie spice for? Before we go any further into people's creativity WITH Pumpkin Pie Spice, you might want to know how to make your very own Pumpkin Pie Spice to keep in your kitchen. 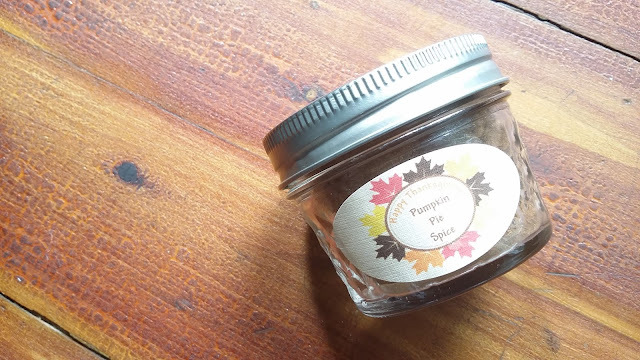 Check out this Pumpkin Pie Spice recipe at the My Baking Addiction blog. If you have all the spices at home in your kitchen, you can whip up your very own Pumpkin Pie spice. It looks like it might be made with spices you already have on hand. I don't think I ever keep "allspice" hangin' around my cupboards though. Oh wait! **Jumping up to check cabinets** I think I bought something at the Asian supermarket once. ~~Nope~~. That's Five Spice Powder (and a post for another time!). Oh well. Have kids? Check out this Pumpkin Pie Spice Acorn Craft. It uses craft foam, construction paper, scissors, white glue and pumpkin pie spice. 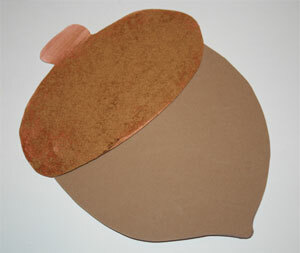 If you go to the website, you can get a template for the acorn shapes. My mom always made salt dough ornaments with us when were kids. Her ornaments were always so cute. Then she'd paint and varnish them. She might still have some floating around today . . . who knows! 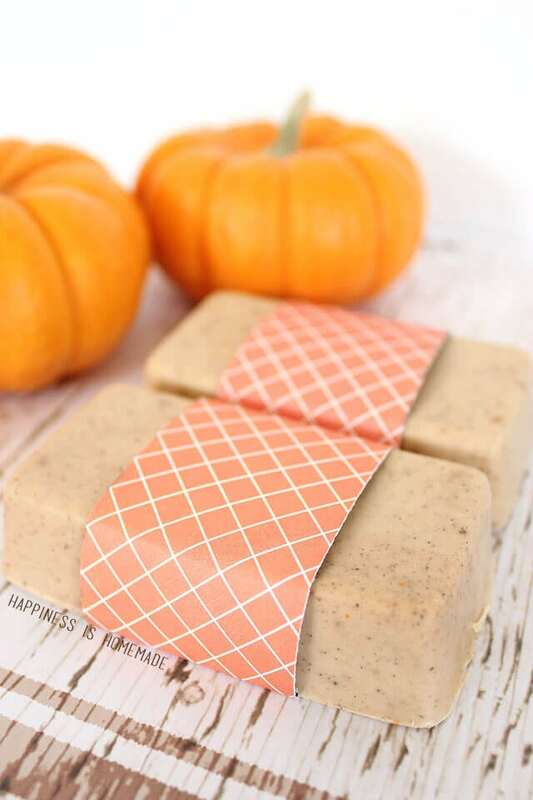 I thought this Pumpkin Pie Spice Salt Dough Ornament recipe looked interesting. I think maybe the kids and I will make some this year. It's been a while since we've made any handmade ornaments. 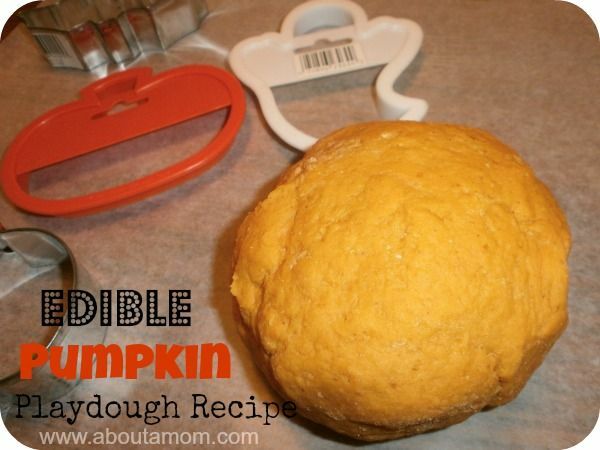 You can find the recipe here: Pumpkin Spice Salt Dough for Ornaments or Table Decor at Fun at Home with Kids. Hopefully you'll already have everything you need in your kitchen! DIY beauty treatments are an amazing way to create healthier, inexpensive options for your everyday beauty needs. I've made homemade sugar scrubs before and they're really super simple. I've also used coffee in a DIY lip scrub before. It's a great exfoliator and the caffeine gives your skin a boost! 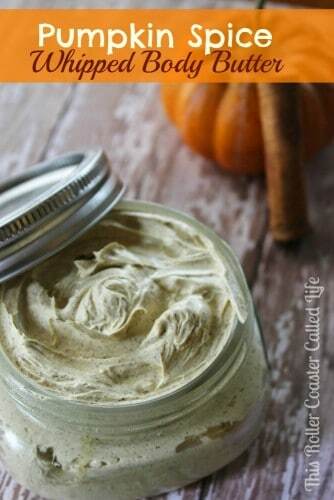 That's why I love the idea of this DIY Pumpkin Spice Latte Body Scrub from Diary of a Working Mom. 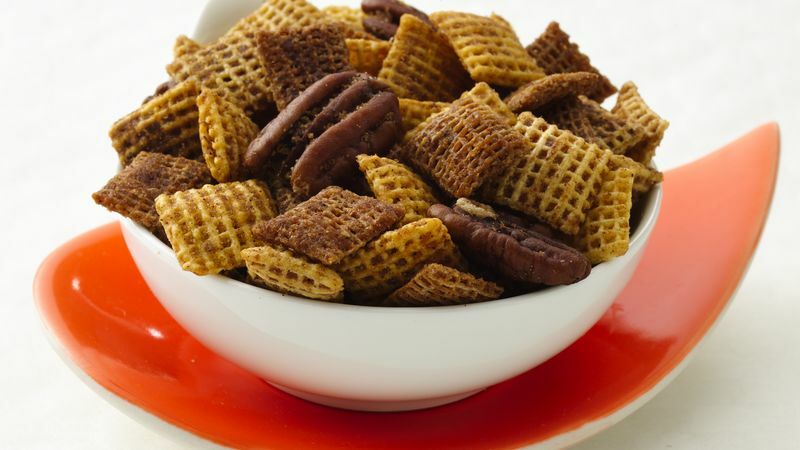 Pumpkin Spice Chex mix from the Betty Crocker website. By show of hands, who has NOT gone and gotten a Pumpkin Spice Latte or Hot Coffee yet? Anyone? Anyone? You can create that Pumpkin Spice coffeehouse taste in your own kitchen, with this recipe from Anna at Crunchy, Creamy, Sweet: Homemade Pumpkin Spice Coffee Creamer. Okay, let's say you like flavored coffee, but you're not a big creamer fan. What can you do? 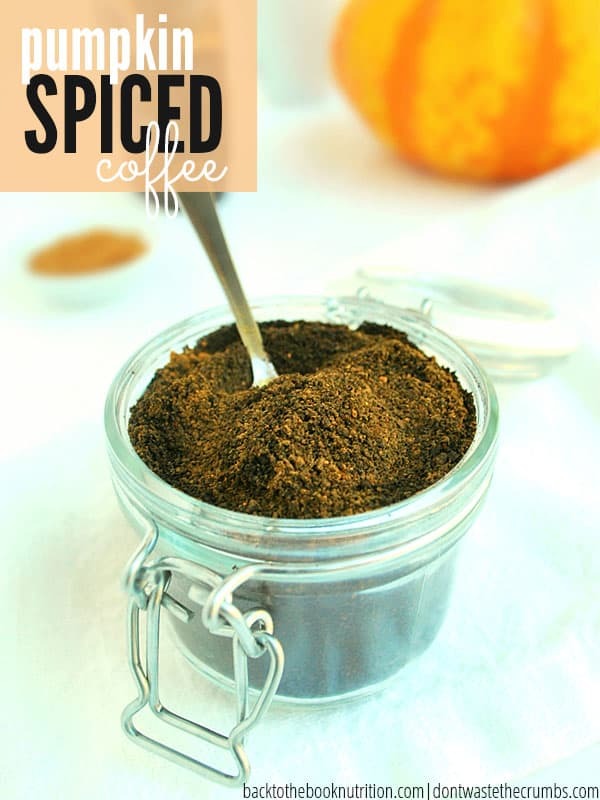 Create your own Pumpkin Spice flavored coffee blend! The good thing about creating your own blend at home is that you don't have to buy a full bag of a flavored coffee from the store. Maybe you would like Pumpkin flavored coffee only once. It could happen! You can flavor one pot of coffee using Tiffany's method at Don't Waste the Crumbs: DIY Pumpkin Spice Coffee Blend. Finally, if you or your kids need energy to keep up with all of the fun Fall activities, here is a recipe for Homemade Pumpkin Spice Energy bites. It looks like they're no-bake and pretty darn easy. They look healthy as well. What's not to love? 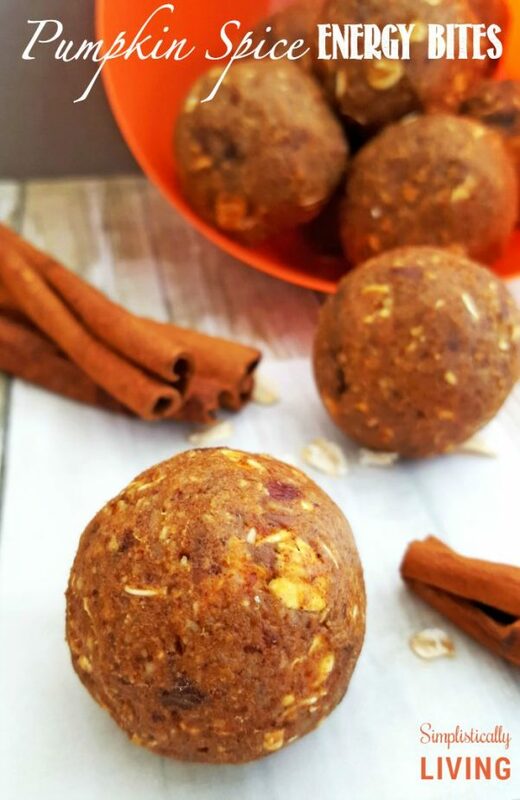 You can find out how Brittanie made them at Simplistically Living: Homemade Pumpkin Spice Energy Bites. What is your favorite way to enjoy Pumpkin Spice? I always add a couple cups of popcorn to my chew mixes. I do like this recipe but a whole tbsp. seems like a lot. Around here (Indy) that spice is running $5.00 for a tiny can. I wish it was not so expensive. We love popcorn in this household! That would be a welcome ingredient. :) Have you tried to make your own spice mix? That would probably be cheaper. I think you can just leave the allspice out if that would be an issue. When I was looking at how to substitute for allspice, the substitution was just cinnamon, nutmeg & clove! I mixed some homemade pumpkin spice mix this morning to add to my coffee! thanks for these fun ideas! I will have to try some of these!